The symbol had an excellent home in Reigate Priory Park and was the talk of the town for the day! 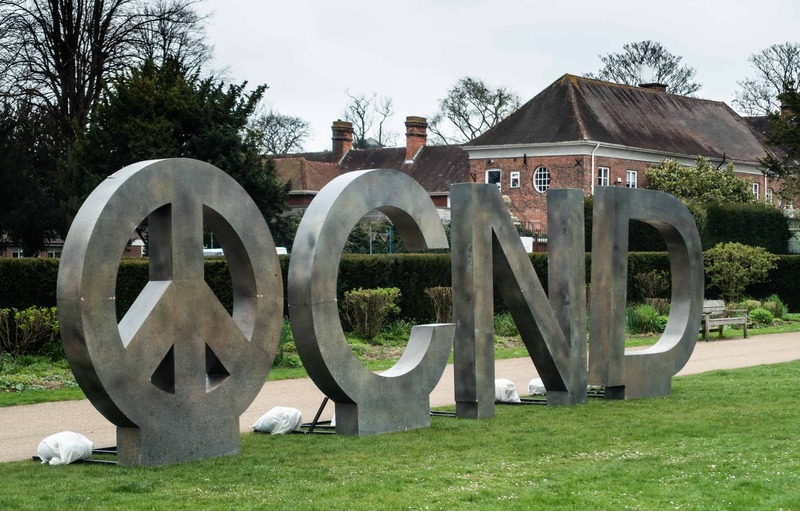 Children questioning ‘What’s CND?’ and conversations about our campaigns could be heard throughout the park. The hosting group Reigate and Redhill CND organised music sessions to accompany the tour stops, involving singing traditional peace songs. One highlight of the day was when 10 year old Daisy came to the stall to find out more and took away some leaflets to ‘show to my teacher and class, because we all ought to think about it’. A huge thank you to Reigate and Redhill CND for organising such a successful tour stop. If you would like to get in touch with the group, contact reigateandredhillcnd@hotmail.co.uk or phone 01737 771007. You can also help support the tour with a donation.